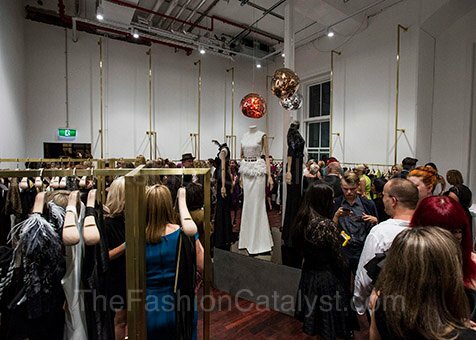 Renowned Australian couturier and ready-to-wear fashion designer, Aurelio Costarella has opened up his second Perth boutique earlier last month. And an enviable party was had to celebrate the milestone with VIP guests aplenty. 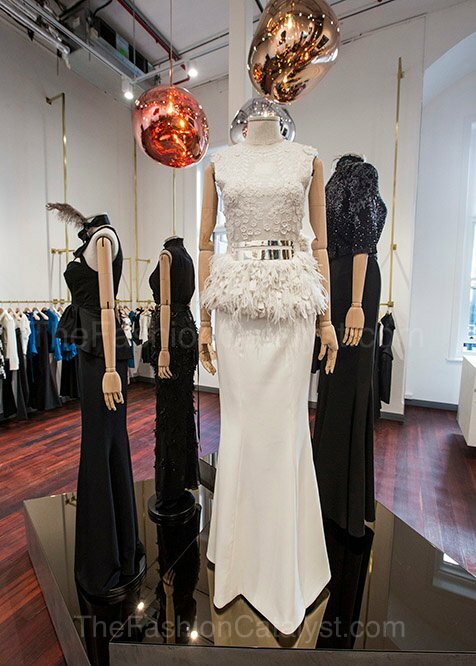 The newly appointed Aurelio Costarella store is aptly located at the recently revamped heritage listed State Buildings at Como Treasury building. And is brimming with new season stock – both spring summer ready-to-wear 2015/16 and resort wear 2016. The interior has been fitted out by interior designers, Jack Tooley and Janet Keating of JKID with a contemporary and classic vibe. And it’s divine! With the use of raw materials such as soft metallic drapes and white marble. Placed alongside dark stained wooden floor boards, brass metal hanging racks and exposed piping… Which runs across the heritage ceilings to highlight Costarella’s innate instinct for juxtaposition and old world glamour. 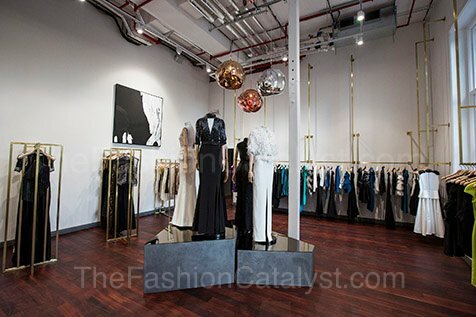 The space also features well lit windows that gift clientele the exceptional ability to shop all looks with ease and ensuring no piece from each collection shall ever go unnoticed. Furthermore, the inner city boutique also stocks homewares and accessories such as iBride urns, Tom Dixon candles and Arquiste perfumes. Happy shopping ladies… I will likely see you all there!